Texas-based drug and alcohol recovery center for men, Mark Houston Recovery, will be hosting its first annual alumni reunion, Saturday, November 15, 2008. The event was created to celebrate recovery, meet with friends and family and the share the collective experience of improving lives through the long process of recovery. All alumni, family and friends are welcome to celebrate what aims to be a new annual tradition at the Mark Houston Recovery Center. • Open speaker forum for alumni. • Food, fun, games, and prizes! A revolutionary new health care service called GOgoodhealth.com.au has been released for access by the general public to enable them to make appointments for telephone consultations with health care professionals such as psychologists, therapists and counsellors. GOgoodhealth have an alliance with the health care group GOprofessionals which is also managed by internet pioneers and web developers WebStation Australia. 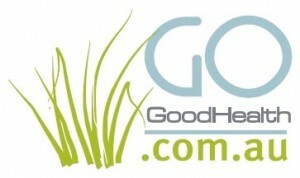 GOgoodhealth.com.au provides the viewer with the ability to make an online appointment for a telephone consultation, at a time which suits them, with fully qualified therapists, psychologists, counsellors and other health care professionals. People requiring privacy or living remotely or lacking mobility or with transport problems or are just ‘time poor’ are enjoying the convenience along with the cost and time savings of telephone consultations. GObookings AppointmentDiary, Australia’s leading appointment management software, was chosen to handle the online appointment booking process. Once the appointment is booked the health care professional is then notified by email and/or SMS whilst the person making the appointment receives an instant confirmation email along with email and SMS reminders. The AppointmentDiary version 8 software was chosen for this role as it is reliable, secured, easy to use, well proven and already highly regarded within the health care industry. SurgiCare, leading UK cosmetic and weight loss surgery provider, has announced that the gastric balloon is the latest procedure to be added to its weight loss treatment portfolio. SurgiCare has reported that the introduction of the air filled gastric balloon procedure directly responds to a gap in the current weight loss market and has proven to be less prone to side effects compared with the liquid alternative. The traditional liquid filled gastric balloons have been known to cause extreme nausea and discomfort due to the movement of the liquid content. The introduction of the gold coated, air filled balloon means that patients experience less nausea and discomfort, meaning a faster, safer recovery following the procedure. The gold coating is designed to prevent air loss and reduce the problem of deflation, which can occur in the fluid filled balloon option, ensuring the balloon stays at maximum volume for the full duration of placement, which can be up to six months. During this time, weight loss can be up to five stone. SurgiCare is one of only two weight loss surgery providers to offer the procedure in the UK. Available exclusively to patients with a BMI of between 25-35, the gastric balloon offers patients who are struggling to find a weight loss solution an opportunity to control their weight. It is an industry concern that patients who do not meet the strict criteria for a gastric band or bypass may resort to more drastic measures such as over eating to reach the required BMI of 35 and above. The lowered BMI recommendation of a gastric balloon provides a weight loss option for those who would not previously be considered, providing a much needed alternative for those who have tried every other weight loss method. The relatively simple procedure, takes approximately 20 minutes to complete. The balloon is inserted into the stomach under sedation or general anaesthesic and then filled with air. The filled balloon decreases the space available in the stomach making the patient feel ‘full’ quicker resulting in weight loss. Mark Bury, chief executive at Surgicare commented: “The gastric balloon has been a staple weight loss procedure in the United States for many years. The introduction of the air filled balloon is a big step forward for weight loss procedures as it provides patients with the same results as a liquid filled balloon, but without the associated side effects. As part of the SurgiCare aftercare program it is recommended that patients carry out three hours of sporting activity each week and follow a coordinated diet plan to aid maximum weight loss. With over 16 years experience and 8 clinics, SurgiCare is one of the largest and most respected cosmetic surgery networks in the UK. SurgiCare specialises in weight loss surgery with a unique 24 month aftercare programme and prides itself on providing an unrivalled aftercare service. As one of the leading UK specialists in cosmetic surgery, SurgiCare has the all latest therapies and caring, professional experienced staff to enhance a patient’s self-confidence by improving appearances. SurgiCare has helped more than 20,000 patients fulfil their dreams of looking and feeling their best. A new website has been launched at www.affordablevision.com selling complete cheap eyeglasses at 75% off the prices offered by traditional eye clinics. AffordableVision.com is happy to announce the launch of it’s much anticipated e-commerce website at www.affordablevision.com. The site’s President states, “with over 30 years of combined experience in offering eyewear frames and lenses to private optometrists and eye clinics we have now decided to use technology as our partner. We are now able to offer to the general public the same quality frames and lenses that those same clinics have used for many years at 75% less than a traditional doctors office. Honoring National Nurse Practitioner Week! You’ve been there before. Sitting in a doctor’s examining room, holding together a wafer-thin way-too-revealing gown, paper crinkling under you as you shift uncomfortably and wait for what you assume will be a 10-minute exam (max) with a doctor juggling too many patients and too little time. Then in she walks, wearing clinician scrubs, a lab coat, and a warm smile. She proceeds to do something you least expect: sit down and talk to you. More specifically, ask you — not just about your symptoms, but about your concerns, your goals, your job, your hobbies, your family, your life. Even more amazing: she actually listens! And not just with a stethoscope, but with her undivided attention. Who is this competent, highly professional and genuinely concerned woman? You’re looking at a typical example of one of the approximately 120,000 Nurse Practitioners (NPs) practicing their unique approach to whole-person care in healthcare environments across the U.S. Increasing numbers of patients are choosing to receive their primary as well as specialty care from NPs, and for very good reason. NPs are licensed advanced practice nurses who provide a wide scope of healthcare services similar to those provided by a doctor, in an equally wide range of clinical settings. And they’ve definitely earned the lab coats they wear. With advanced, clinical training and graduate education, on top of their training and often extensive real-world experience as registered nurses, NPs are exceptionally well qualified to diagnose and treat a spectrum of health conditions. They are also well respected as leaders in their medical fields, and as innovators in high-quality, cost-effective patient care. But don’t expect to find them resting on their laurels. NPs are busy practicing wherever doctors do — and don’t — including hospitals, clinics, private practice, emergency rooms, urgent care, schools, nursing homes, to name a few. Many NPs hold master’s degrees and doctorates, as well as extensive training in areas of specialization such as cardiovascular, oncology, neurology, neonatal, pediatric, and an array of sub-specialties. While equipped with the skills, knowledge and experience to diagnose and treat, NPs place equal emphasis on care and cure. This extends not just to ordering the tests, developing the treatment plan, and writing the prescriptions, but also to managing patients’ overall well-being. NPs collaborate with their patients in their own health and wellness, through disease prevention, health education and counseling. By treating the person as well as the patient, NPs become a valuable source of information and guidance in making healthy life choices. This unique whole-person approach to medical care has defined and distinguished NPs dating back to 1965, the year the first NP program launched at the University of Colorado. Forty-three years later, this core philosophy remains intact even while the role of NPs has continued to evolve with the changing needs of patients. Today, around 6,000 new NPs join the nation’s healthcare delivery system every year — the vast majority of them women who have already been practicing as nurses. As NPs continue to improve the quality of care, they’re also lowering costs for the patients who come to rely on NPs as partners in health. In fact, patients who see NPs for their primary care often have fewer ER visits, shorter hospital stays and lower medication costs. In honor of their vital contributions to patient care and health, the medical community recognizes November 9 – 15 as National Nurse Practitioner Week. Medelitatm, makers of premium hand-sewn lab coats and scrubs tailored for female clinicians, is pleased to draw special attention to this extraordinary group of professionals largely comprised of women. Adds Manchik, “NPs go out of their way to make people feel comfortable and confident with the care they’re receiving. We’re more than happy to return the favor.” To Nurse Practitioners caring for patients with equal parts compassion and knowledge, Medelita honors you. And thanks you. Medelita clinician scrubs and lab coats, as well as an innovative line of nursing scrubs, are currently available online at http://www.medelita.com, and can be ordered by phone at (877) 987-7979. Group sales and custom embroidery are also available. Medelita has one purpose: to reinvent the way women of all healthcare professions present themselves at work by offering the highest quality, best fitting, and most comfortable scrubs and lab coats available. Medelita caters to professional women who want their uniforms to embody the poise and confidence already displayed from within. After all, scrubs are square and women are not. For more information, visit the Medelita Website or call (877) 987-7979. Driving is a demanding activity. Drivers must see obstacles or hazards, straight ahead or in their peripheral visual field, consider the possible reactions of others, estimate the time and distance, decide upon their action and then react accordingly. Driving safety depends on many external factors as well as the condition of the driver. Visual impairment is one of the factors in the decision to deny a person the right to drive. Losing one’s driving license is a major limitation in their lifestyle and day to day routine. Because vision is the most important factor during driving, many driving related injuries are a result of vision problems. essence creating a large blind spot. Vision loss due to glaucoma is irreversible. However, increased intraocular (eye) pressure (IOP) is easy to screen for and detect in early stages, allowing the prevention of any further loss of sight. Routine screening can be performed by your general physician or eye care professional. 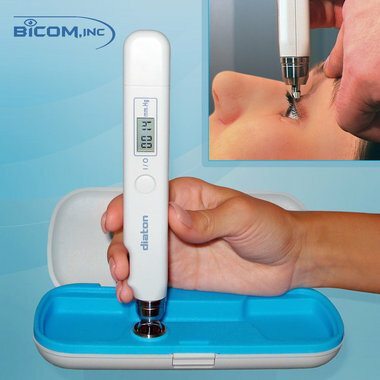 BiCOM Inc. with its unique new screening device, Diaton Tonometer, now allows this eye test to be done simply, quickly and painlessly. The Diaton Tonometermeasures intraocular pressure (IOP) Through the Eyelid, avoiding the commonly known discomfort of screening through the cornea. For the first time,Diaton Tonometry requires no contact with the cornea. Measurement is done through the upper eye lid, over the sclera, eliminating any risk of infection or discomfort. “Too many people believe they can tell if they’re developing glaucoma,” says Dr. Gregory K. Harmon, Chairman of the Glaucoma Foundation. However, it is estimated that half of those suffering damage from glaucoma, do not know they have it. The disease has come to be called the “silent thief of sight” because it often strikes without any symptoms. A peripheral impairment of the visual field is a reason for denying a driving license in most states in the USA. For many who do not experience any visual symptoms, it comes as a shock when they are denied renewal of their drivers license based on visual field defect or poor peripheral vision. Patients with visual field defects, commonly due to glaucoma, have double the incidence of road accidents or traffic violations as compared to those with a full visual field according to a study by Johnson & Keltner. More importantly, almost half of those with visual field loss were unaware of any problem with peripheral vision. You cannot influence the risk factors for glaucoma. However, you can take measures to detect the problem at an early stage and stop any further damage to your vision. Doing so will prevent it from affecting your driving safety and interfering with your routine lifestyle. Ask your doctor about routine glaucoma screening with the Diaton Tonometer, even if you think your vision is normal. Problems may be easier to correct if caught at an early stage. BiCOM, with its 15 years of tradition and global clientele, has proven to be the enterprise of the highest level of professionalism, integrity and financial solvency. A unique team of engineers, medical, legal and business experts makes BiCOM Inc. the right place for global talent to find support and guidance. BiCOM Inc. sees its mission in bringing to market innovative products developed and manufactured worldwide. BiCOM Inc., with a release of tonometer Diaton to US is committing to a mission of preventing blindness caused by glaucoma. Actor Ricky Tomlinson has warned British men against the threat of Coronary Heart Disease (CHD) as part of a new campaign for Lloydspharmacy. Ricky freely admits that he did not take his heart health seriously in the past and paid the price in 2007 when he was diagnosed with heart disease after his wife insisted that he went to the doctor for a check-up. A quadruple bypass and a significant amount of weight loss later, Ricky says he is a new man. He admits that if his wife hadn’t mentioned to his doctor that he had been a little breathless, he would probably be either very ill now, or worse. According to a new study by Lloydspharmacy, CHD will rob British men of more than 16.5 million years of life, although early detection of cardiovascular problems could lead to 4.3 million of those years being saved. That’s an average of 4 years per at-risk individual, but for some the number of additional years could be much greater. Lloydspharmacy offers cholesterol and heart checks at 625 of its pharmacies across the UK. The Lloydspharmacy cholesterol and heart check removes many of the excuses men typically give for not getting themselves checked out. No appointment is necessary so they can just walk into the chemist off the street at a time which is convenient. The 15 minute Lloydspharmacy Heart Healthcheck checks cholesterol, blood pressure, blood glucose and body mass index as well as giving a full lifestyle assessment. Based on these results a percentage risk score of developing heart disease over the next ten years is estimated. Everyone who uses the free service will receive a personal action plan and summary of the test results. For high-risk customers a support pack is supplied and referral to the GP is recommended. The Heart Healthcheck was trialled in 122 Lloydspharmacy outlets across the country last year and results show approximately 40% of those who had a check were referred to their GP. A revolutionary new technology system called GOprofessionals.com.au has been released for access by the public to health care professionals such as psychologists, therapists and counsellors. GOprofessionals is managed internet pioneers WebStation Australia and PsychE-Commerce the ecommerce specialists for psychologists. GOprofessionals.com.au is now being rolled out Australia-wide. GOprofessionals.com.au will supply the health care provider with a copy of AppointmentDiary, Australia’s leading appointment management software, so their customers can book appointments for their business services online. The online appointment system allows customers to make appointments immediately, ending their search for services and saving them time. Should the customer be reluctant to make an online appointment themselves, there is a 1300 number they can call and the PsychE-Commerce team will make the appointment for them. Once the appointment is booked the listed health care professional is then notified by email and/or SMS. The AppointmentDiary software was chosen for this role as it is a reliable, secured, easy to use, well proven and is already highly regarded within the health care industry. GOprofessionals.com.au is not only limited to the online scheduling system for appointments but also listed clients will benefit from advertising their services on a fully optimized site. This means that their businesses visibility on search engines will be improved whilst increasing accessibility to potential customers. GOprofessionals.com.au is also exclusive! All listings are screened by PsychE-Commerce with only a small number of listings allowed for each city. This also allows their potential customers to have an elite directory to select their services from. Appropriately qualified practitioners can apply through GOprofessionals or PsychE-Commerce to be listed on the new Directory. As the UK has been teetering on the cusp of going bust, SurgiCare, one of the leading cosmetic surgery providers, has announced a 135 percent increase in UK women boosting theirs. It seems despite the current economic crises, women in the UK are still investing their hard earned cash on boosting their own assets. With financial depression set in all over the country and companies going bust every day, SurgiCare has revealed record figures for September 2008. Mark Bury, chief executive at SurgiCare said; “Last months figures have absolutely no reflection on the current financial climate in the UK at the moment. In fact, they are record breaking. Over double the amount of women enquiring about breast enlargement, in comparison to last September’s figures, amounting to a whopping 135% increase. Cosmetic surgery is generally flourishing despite the credit crunch, with most procedures on the up, but breast augmentation is especially booming this year. SurgiCare is a specialist in breast augmentation, offering everything from, breast enlargement, reduction, breast uplift to the new Macrolane treatment for women who want the perfect breast shape with no surgery or recovery time. Jonquille Chantrey, SurgiCare’s non-surgical director said; “We have just introduced Macrolane, the non-surgical breast augmentation. It’s designed to enhance and improve the shape of the breasts. It’s a very effective and safe treatment which costs around £3,000, with a top up usually required every 12 months. Most of the women I have treated have saved for a while or opted for SurgiCare’s finance package. They are not necessarily being frivolous, just sacrificing other things to look their best”. With over 16 years experience and 8 clinics, SurgiCare is one of the largest and most respected cosmetic surgery networks in the UK. SurgiCare specialises in weight loss surgery with a unique 24 month aftercare programme and prides itself on providing an unrivalled aftercare service. As one of the leading UK specialists in cosmetic treatments, SurgiCare has all the experience, the latest therapies and the caring, professional staff to enhance a patient’s self-confidence by improving appearances. SurgiCare has helped more than 20,000 patients fulfil their dreams of looking and feeling their best. Enter the emergency room of MidMichigan Medical Center in the rural community of Gladwin, and chances are you’ll be treated not by a physician but by Physician Assistant Erin Sherer. From ordering and interpreting x-rays, to stitching up cuts, to writing prescriptions, Erin — like all licensed PAs — is exceptionally well qualified to complete an array of medical procedures traditionally performed by physicians. Rest assured, with Erin on your case, you’re in excellent hands. Erin Sherer is an exemplary representative of the rapidly expanding number of Physician Assistants working in health care. Today, you’ll find PAs like Erin playing a central role in all areas of medicine — from the patient’s bedside to the operating table to the front of a university classroom. Licensed to practice medicine with physician supervision, PAs perform many of the same duties as their physician counterparts; they conduct physicals, diagnose and treat illnesses, order and decipher tests, counsel patients, write prescriptions, assist in surgery, even teach other aspiring PAs. Above all, they’re making a tremendous positive impact on the quality of health care and patient outcomes. Just ask the physicians who collaborate with them in the daily delivery of care. Increasingly, doctors have come to rely on their PAs as valued partners. The PA-physician relationship is built on mutual trust and respect. Physicians entrust PAs to expertly assume many of the primary care responsibilities, freeing doctors to focus their energies and time where they’re needed most. PAs, in turn, are rigorously trained to know when to make medical decisions, and when to refer patients to specialized physicians. This complementary relationship is at the core of the PA education model, which closely mirrors the medical training doctors receive — only in a highly accelerated format. Introduced in the mid 1960s, in response to a shortage of primary care physicians, the earliest PA programs were based on the fast-track training received by World War II doctors. In fact, the first PA students were Navy corpsmen who had received medical training while serving in the Vietnam War. The result of this extreme level of dedication, commitment and sacrifice: Physician Assistants have become instrumental and integral members of their medical teams — valued by physicians and appreciated by patients. Their work is not going unnoticed. Celebrated every year between October 6 ¬– 12, National PA Week honors the vital role PAs play in elevating patient care. Joining in the chorus of praise, is medelita™ — makers of premium lab coats and scrubs professionally tailored for women working in health care. Women like Erin Sherer. To all PAs — past, present and future — medelita salutes you. You have raised the bar in patient care. We’re pleased to help raise awareness for the critical work you do. Medelita has one purpose – to reinvent the way women of all healthcare professions present themselves at work by offering the highest quality, best fitting, and most comfortable scrubs and lab coats available. Medelita caters to professional women who want their uniforms to embody the poise and confidence already displayed from within. For more information, visit our website at http://www.medelita.com or call (877) 987-7979. National PA Week is celebrated each year October 6-12. The week serves to celebrate the significant impact PAs have made and continue to make in health care, expand awareness of the profession and to salute the outstanding growth of the Physician Assistant profession. For more information, visit http://www.aapa.org/. SurgiCare, one of the UK’s leading cosmetic procedure providers, has added chest rejuvenation to its portfolio of treatments, following large demand for the procedure across the US. Chest rejuvenation uses Botox to correct the tell tale signs of sun damage and wrinkly skin on the décolletage and has proved to be a popular new breast treatment in the US, with many predicting a similar response upon the introduction of the procedure in the UK. However, Surgicare are taking the treatment a step further, using filler technology rather than Botox for its procedures. Using advanced Restylane Vital technology SurgiCare is able to combat the signs of ageing and sun damage for its patients by injecting the clear hyaluronic acid (HA) gel into the skin to replenish the skin’s own HA levels, adding volume, hydrating the skin, and softening lines and wrinkles. Restylane Vital is a new development in skin rejuvenation, providing deep hydration and moisturisation from within to improve skin tone and health. It stimulates the production of collagen and elastin to keep skin looking plump and hydrated, diminishing the appearance of fine crêpey lines caused by sun damage. Mark Bury, chief executive for Surgicare said: “The trend for Botox based chest rejuvenation in the US has created a demand in the UK. However we’ve found that Restylane Vital has proven to be much more effective than Botox for rejuvenating the neck and chest areas as it actually fills and plumps up the wrinkles, as well as diminishing the appearance of sun damage. Resytylane Vital chest and neck rejuvenation treatments are non-surgical and daily activities can be resumed immediately after treatment. A course of 2 to 3 treatments a few weeks apart is initially recommended, although patients may opt to have more treatment courses in future if they choose. As one of the leading UK specialists in cosmetic treatments, SurgiCare has all the experience, the latest therapies and the caring, professional staff to enhance clients’ self-confidence by improving appearances. SurgiCare has helped more than 20,000 patients fulfil their dreams of looking and feeling their best.